Many are wondering if the current conflict in Gaza might lead to the Russian led invasion of Israel that is prophesied in Ezekiel 38 & 39. That is not possible because one of the conditions for that invasion is that the Jewish people must be living in peace in cities without walls (Ezekiel 38:8 & 11). That certainly is not the case at the moment. Most of the Jews of Israel are living behind a giant wall that runs the length of the country’s heartland, separating them from the Palestinians. And tens of thousands of Jews in southern Israel have been living in bomb shelters to protect themselves from daily rocket attacks out of Gaza. Bill Salus, a Bible prophecy scholar in California, has proposed that the peaceful situation pictured for the Israelis in Ezekiel 38 might be the result of a victorious war against their Arab neighbors as pictured in Psalm 83 (see Salus’ book, Israelstine). 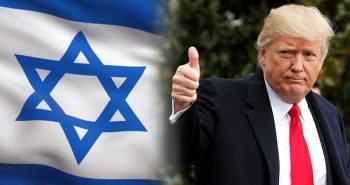 Such a war could also solve a mystery concerning the Russian invasion — namely, the fact that the Russian coalition of Muslim states that is portrayed in Ezekiel 38 and 39 does not include any of the Arab states that currently exist adjacent to Israel. Could it be that Israel will first fight the Psalm 83 war against its Arab neighbors? Then, after subduing them and experiencing true peace, the Russians would launch the Ezekiel 38 war which will result in the supernatural annihilation of their forces, including all the armies of their Muslim allies. The Psalm 83 war would neutralize the inner ring of Muslim states. The Ezekiel 38 war would result in the destruction of the outer ring of Muslim nations. These wars could occur before the Tribulation begins, and the Rapture could occur any time — before them, during them, or after them. The nation to watch is Syria. They are one of Israel’s prime enemies. They have sophisticated missiles, and they only have to shoot them 150 miles to hit key targets like Haifa and Tel Aviv. 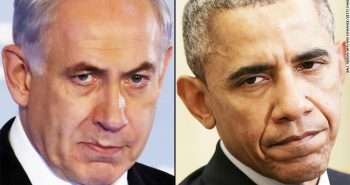 If they should launch a missile barrage, Israel’s only hope would be the use of tactical nuclear weapons. It is prophesied that Syria’s capital of Damascus will cease to exist in the end times (Isaiah 17:1-14 and Jeremiah 49:23-27). That could well prove to the one of the consequences of the Psalm 83 war. 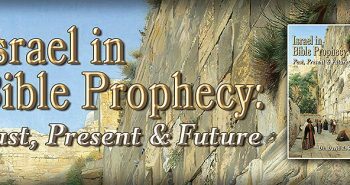 We are living in exciting and momentous times when we can watch the consummation of historical events that are prophesied to lead up to the Lord’s return. Put on your seat belt and pray! exciting, with millions dying if not billions ?? you are truly sick in the mind and heart. The message of Jesus was that of love, not of hate and destruction. Zionism rules !! Great article – I like the way you are sequencing the prophetic events. How soon until you think Psalm 83 and Ezekiel 38 could occur? Should I buy some land in Jordan now in anticipation of Israel taking sovereignty of it soon? For those who have placed their faith in Jesus Christ, the end times are absolutely exciting. Why? Because we know that our Lord will be returning soon to bring a true and forever lasting peace to the world. Prior to His return, however, He must deal with those who have rejected Him and the evil in this world for God is a just God. Evil will not go unpunished and those who reject the gift of saving grace must also accept the consequences of that choice. Belivers in Christ are not destined for the wrath of God, therefore we CAN look forward with hope, anticpation, joy and yes, excitement at the thought of our Lord returning soon to take us up to Heaven to be with Him forever. Praise the Lord! Come quickly! hart_thizzle…I have speculated as you have that perhaps the invasion of Israel will prompt a nuclear first strike on the United States. Perhaps the Rapture will occur just before the missles hit us, thereby giving the world an explaination to the disappearence of millions. It would also explain why the United States is not a power player in the end times. I have no Biblical basis for this…just speculation. billy there is biblical implications for yours (and my) theory. Not directly but indirectly where it says “i will rain fire down on those who dwell in the coastlands in safty” the word safety literally means careless. yes, these are exciting times. Not because some terrible lie ahead. No one wants to have any of that happen. But we are in the midst of a spiritual war and the bible tells us these things must happen. we yearn for what takes place after the terrible things. we yearn for the 1ooo yr reign and for the new heaven and earth that is ahead. Anonymous, what is the “terrible lie” you refer to??? Psalm 83 is best studied with a map since several individual national enemies of Israel are noted. 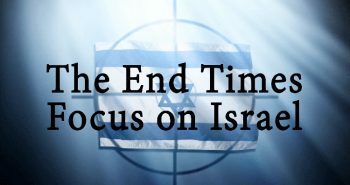 Second Chronicles 20:1–30 may record the specific historical event prompting this psalm, though some Bible students believe that the nations mentioned are only symbolic of all of Israel’s enemies. The psalmist begs God to rescue Israel from its enemies as He had done so many times in the past. In verses 6- 11 the list of nations represents Israel’s enemies throughout its history. Edom descended from Esau and lived SE of Israel. The Ishmaelites, descendants from Abraham and Hagar, were Bedouin tribes. The Moabites descended from Lot (cf. v. 8) and were tribal people living E of the Jordan (cf. Judg. 11:17, 18; Is. 15, 16). The Hagrites were a nomadic tribe living E of the Jordan (1 Chr. 5:10, 19, 20). Gebal was probably a community S of the Dead Sea, near Petra in Edom. Ammon, a nation descending from Lot, was located E of the Jordan River. The Amalekites, nomads living SE of the Jordan River, were descendants of Esau (cf. Gen. 36:12, 16; Ex. 17:8–13; Num. 24:20; Judg. 6:3; 1 Sam. 15:1–8). Philistia was located SW of Israel (Judg. 14–16). Tyre was NW of Israel (cf. Ezek. 27). Assyria was the dominant nation of the eighth century b.c. and took captive the northern 10 tribes of Israel in 722 b.c. Assyria used smaller nations, like Moab and Edom (the children of Lot; cf. Gen. 19:36–38), to accomplish its military goals.. The psalmist reminded God of famous past victories. Gideon had defeated the Midianites (Judg. 7:19–25). Barak and Deborah defeated Jabin and his army commander, Sisera, near the Brook Kishon (Judg. 4, 5). In verse 18 we see that the purpose of this imprecatory prayer against the hostile nations is neither personal nor national, but spiritual: that the nations may know and glorify God whose name alone is the Lord. “Alone” should precede “are” in the next phrase. Verse 10 mentions Mount Seir. A prominent landmark in Edom. In verse 14–17 we see that The Lord responded immediately, sending a message of confidence through the prophet Jahaziel, a Levite of the family of Asaph (2 Chr. 20:14–17). In verse 16 we identify more specific recognizable geographic landmarks : Ascent of Ziz … Wilderness of Jeruel. These areas lie between En-Gedi on the Dead Sea and Tekoa, which is 10 mi. S of Jerusalem and 17 mi. NW of En-Gedi. This is the pass that leads from the valley of the Dead Sea toward Jerusalem. Now, in verses 18–21 was the praise of faith. They were confident enough in God’s promise of victory to begin the praise before the battle was won. So great was their trust that the choir marched in front of the army, singing psalms. And in verse 21 the psalmist speaks of the “beauty of holiness”. The Lord is beautiful in holiness (cf. Ex. 15:11; Ps. 27:4), but the context here is “in holy attire,” which was referring to the manner in which the Levite singers were clothed in symbolic sacred clothing (cf. 1 Chr. 16:29) in honor of the Lord’s holiness. And in verses 22–24, we see God’s intervention similar to Gideon’s day (Judg. 7:15–23), God caused confusion among the enemy, who mistakenly turned upon themselves and slaughtered each other. Some think this may have been done by angels who appeared and set off this uncontrolled and deadly panic. The destruction was complete before Jehoshaphat and his army ever met the enemy (v. 24). Verse 25–28tell us that they went back just as they had gone out—emphasizing the “Praise” music (cf. vv. 21, 22). This music was a very important component of Israel’s religious life (see 13:12). The people would go into battle praising God with instruments and voices (vv. 19, 21, 22, 28). Notice that in verse23 : Before Judah’s armies could even reach the battlefield, the Ammonites and Moabites attacked their Edomite allies and destroyed them, then they turned against each other. As a result, Judah won without even having to fight. God had demonstrated that the battle was His (v. 15) and that He could accomplish His purposes without even using an army. Both passages emphasize the fact that The LORD had fought and won the battle. The spectacle of Jehoshaphat’s enemies in defeat, like the battles that Joshua had led years before, struck fear in the hearts of enemy nations (17:10; see Josh. 2:9–11; 1 Chr. 14:17) because it involved an obvious miracle. No human army could prevail over God’s omnipotence. We know for sure Ezekiel 38-39 is supernaturally won. Don, are you saying that Psalm 83 will be a very obvious supernatural victory as well? I was merely considering that Second Chronicles 20:1–30 is the historical record of the specific historical event in which Psalm 83 was fulfilled (or partially fulfilled). I wish to be very clear and want no confusion of Psalm 83 (a historical event recorded in 2 Chronicles) and those future events of Ezekiel 38-39. Psalm 83 (as 2 Chronicles 20 tells us) WAS “a very obvious supernatural victory” as WILL be Ezekiel 39-39. As always, I yield to your keen acumem and insight for which I am grateful. Good research, Don! So, if I’m understanding you, you’re saying 2 Chronicles 20 is the fulfillment of Psalm 83. And, because it’s fulfilled, there will be no future Psalm 83 battle? Some Bible students believe that each individual nation mentioned in Psalm 83 are only SYMBOLIC of all of Israel’s enemies. You would probably do better to consult Bill Salus on that point for a definitive answer. don, 2 things to consider and i in no way speak for nathan 1 even if psalm 83 was fulfilled many prophetic events are fulfilled twice. 2. Even if not there is still the fall of damascus (syria?) to occur. Lets see what nathan says. Nathan and Don- 2 Chronicles is not likely the episode Asaph describes in Psalm 83. The 2 Chronicles account primarily describes only 3, possibly 4, of the 10 member populations enlisted in the prophecy of Psalm 83. These are the Psalm 83:6-8 confederates The tents of Edom and the Ishmaelites; Moab and the Hagrites; Gebal, Ammon, and Amalek; Philistia with the inhabitants of Tyre; Assyria also has joined with them; They have helped the children of Lot. Now compare all of the above to 2 Chronicles 20:1-37. 2 Chronicles 20:1 ASV And it came to pass after this, that the children of Moab, and the children of Ammon, and with them some of the Ammonites, came against Jehoshaphat to battle. Verse 1 enlists Moab and Ammon, and possibly the Menuites. The NKJV suggests that “others” were involved besides them, but that likely refers to the menuites a much smaller grouping than those of Psalm 83:6-8. The Meunites, if that is who verse one references, were an Arab tribe that dwelt about 12 miles Southeast of Petra, which still puts them in modern day Southern Jordan. I cited the ASV in addition to the NKJV to illustrate that it only identifies Ammon, and Moab. Verse 2 references Syria (Some Masoretic Text, Septuagint, and Vulgate; some Hebrew manuscripts and Old Latin read Edom.) Edom or Syria, or both, this still is only a portion of the 10 populations of Ps. 83. Verse 10 & 22-23 Moab, Ammon, Mt. Seir are listed. Mt. Seir identifies primarily the people of Edom. Thus the populations referenced primarily would be today modern day Jordan, with a slight possibility of Syria having been involved. Moab is today Central Jordan, Edom is Southern Jordan, and Ammon is Northern Jordan. Petra, Mt. Seir, and the Meunites, would all cluster in around Southern Jordan today. Nowhere in Ezekiel 38 does it say Israel will be at ‘peace’ (shalom) It says they will be ‘secure’ (betach). After being pushed around by the world, Jews in Israel are now ‘secure’ within their own land and able to defend themselves! All this during the modern AGE when cities no longer benefit from ancient forms of walled defence. Respectfully, to say “–most of Israel are living behind a giant wall that runs the length of the country’s heartland, –“ is buying into the propaganda myth! The so called ‘wall’ is an incomplete, anti-terrorist FENCE. Because of their armed might, Israel IS in a position of security. Being at ‘Peace’ is not the issue! Being ‘Secure’ is the issue! What Mark Twain described as ‘desolate and unlovely’; Israel has now cast off dust, desert and swamp to obtain LIFE where there was none. The desert is now blossoming and they nurture an abundantly rich land, the produce of which is traded globally, as well as the plentiful minerals of the Dead Sea and the promise of more oil. It isn’t that Israel WILL become wealthy and gain much ‘spoil’ in the future; it is the fact of the matter right NOW! Imho. I see nothing Biblical to prevent the fulfilment of Psalm 83 etc. from happening RIGHT NOW. Maranatha! what record would include all the nations mentioned in Ps 83 in confederation a the time of Jehoshaphat?